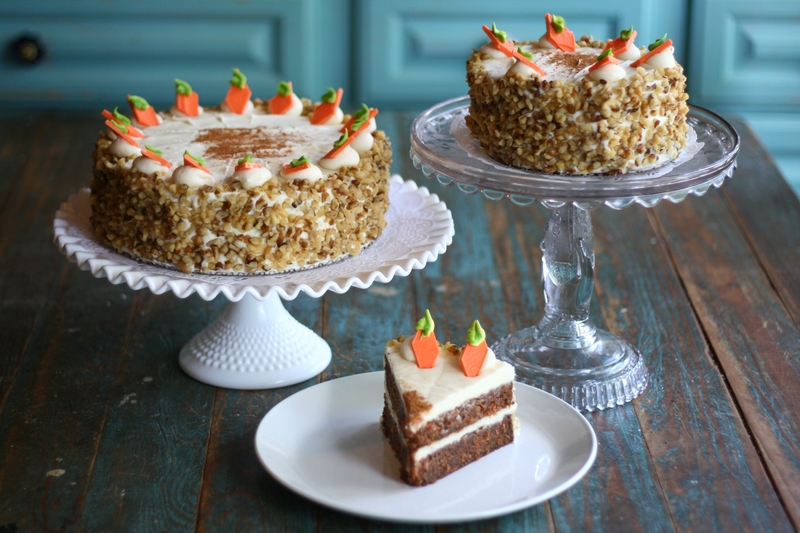 Our carrot cake adheres to what we think is the best version of a classic. Pure and simple, the cake itself is made with fresh carrots. There are no raisins, or pineapple to confuse your palate. We fill and frost it with our perfect cream cheese frosting while we generously coat the sides with fresh walnuts. Carrot Cake, BonBonerie style! Our heavenly homemade chocolate cookies are crumbled into fresh whipped cream which is scooped between fudgey chocolate cake. 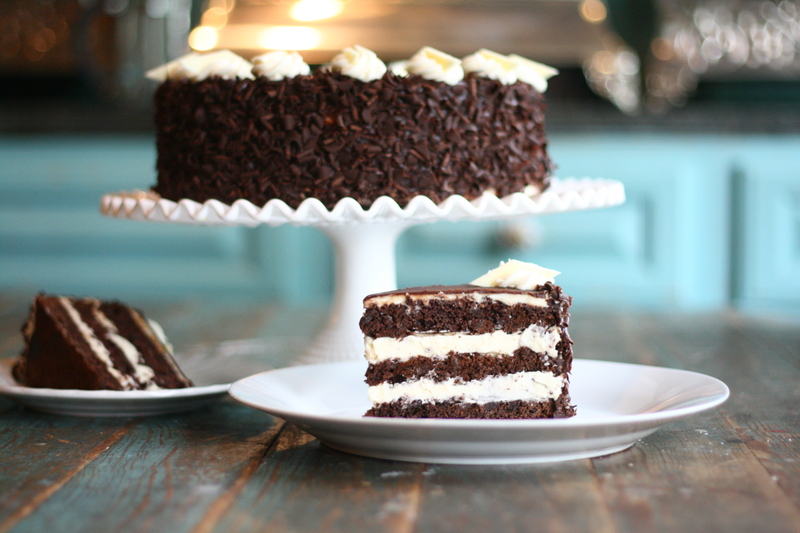 The creamy frosting surrounds the cake as delicate drizzles of chocolate cascade down the sides. YUM!! 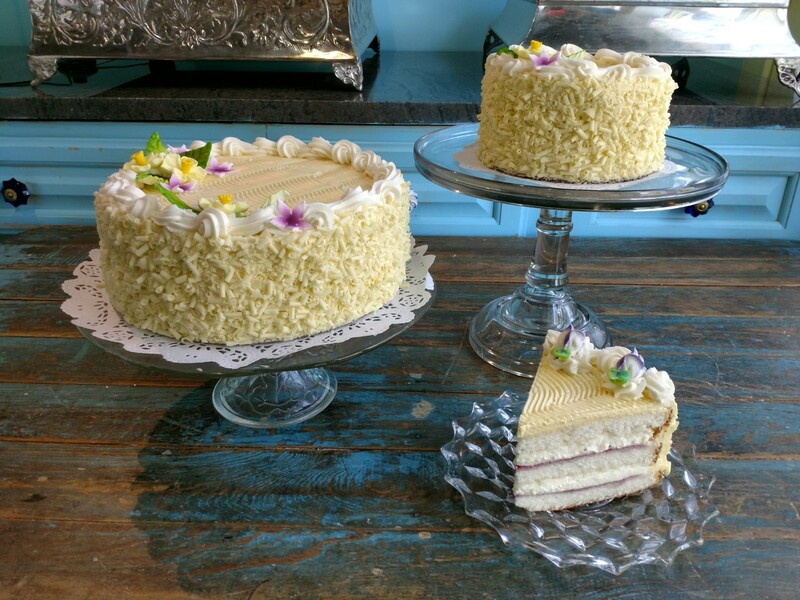 Our airy chiffon cake is filled and iced with our original, sweet and tart, pink lemonade ganache. 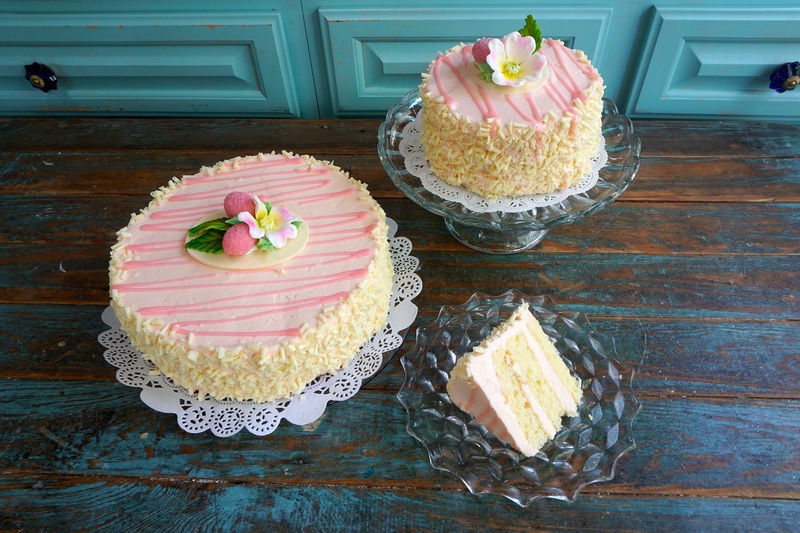 The delicate cake is drizzled with pink lemon glaze, and fanciful pink marzipan lemons adorn the top. Those who love the simplicity of white cake will love this torte. Its lovely vanilla flavor is enhanced by the addition of locally produced raspberry preserves and our white chocolate whipped cream between each layer. We ice it with our original white chocolate buttercream and decorate it with a wreath of handmade spring flowers.